A report recently published by the Health and Human Services Office of Inspector General (OIG) has found that payments via Medicare for hospice services in assisted living facilities have increased nearly twofold in the past five years when cared to other options such as home health and nursing homes. According to the hospice report, the purpose of the study was to give deeper examination into the hospice payment system. 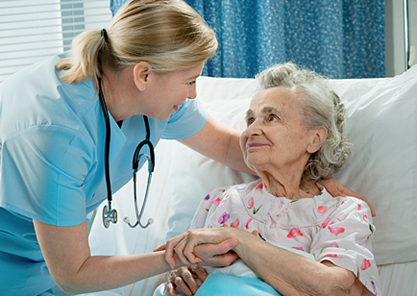 The average length of care in ALFs is nearly double that of those in nursing facilities. The report states that ALFs provided a median of 98 days of hospice care while others like nursing facilities provided a median of 50, and 30 days in skilled nursing facilities. For ALFs, this equals out to roughly $16,000 per beneficiary, which is double that of those in nursing facilities. OIG states concerns regarding the intent of hospices to pursue beneficiaries in ALFs due to their ability to provide more profit through the payment system. OIG stated that, due to the fact that Medicare spending for hospice care in ALFs more than doubled over 5 years to $2.1 billion. This, in combination with the fact that many hospice beneficiaries usually require less complex care, is also coupled to the findings that many beneficiaries received less than 5 hours of care visits per week, according to OIG. Several recommendations were submitted by OIG to CMS as potential methods to decrease future spending. CMS concurred with all of the points listed below that were submitted in the report.